Essential Inc, created by Android co-founder Andy Rubin, launched its first smartphone earlier this year. The new company has already been subject to legal action, specifically from case manufacturer Spigen over its use for the 'Essential' brand name. Now it is being sued again, this time by Keyssa Inc, over the phone's connector for modular accessories. 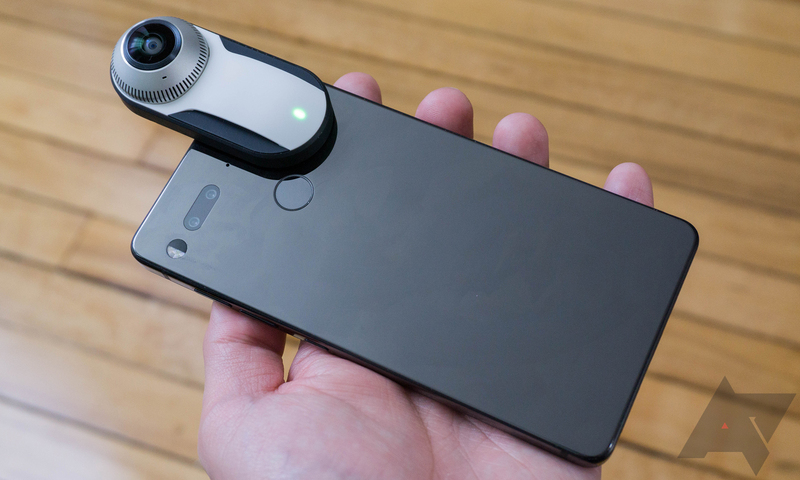 If you're not familiar with the Essential Phone, it has a connector on the back for attaching modular accessories, like a specially-designed 360-degree camera. Motorola's Moto Z series has a similar connector for its 'Moto Mod' accessories, but Essential's is a bit different. The actual pins on the back are only for charging; the actual data transfer is done over a dedicated 60GHz wireless connection. Keyssa Inc, which is backed by iPod co-creator and Nest co-founder Tony Fadell, is best known for its 'Kiss Connectivity' technology. It's designed as an alternative to ports/data pins, allowing large amounts of data to be transferred (supposedly up to 6 Gb/second) through only physical contact. The company has been backed by Foxconn, Samsung, Intel, and others. The lawsuit alleges that Essential was in discussions with Keyssa for 10 months to use the technology for the Essential Phone's wireless connector (the chip that transfers data between the phone and module). At some point, the relationship fell through, and Essential opted to use a chip from a competitor (SiBEAM). Despite the phone's use of a different chip, Keyssa claims that the final design incorporates many off its methods for making wireless connectors work better in a phone design. This ranges from antenna designs to testing methods used in manufacturing, and Keyssa claims the information shared with Essential was under non-disclosure agreements. In a statement to Reuters, a representative from Keyssa wrote, "Keyssa has not been compensated for Essential’s use of this guidance and know-how. We are pursuing this action because our attempts to resolve this matter through discussions with Essential have not been successful."